Joint Branch Secretaries: Paul Farley and Tracey Tansley. Minutes Secretary – Nicola Churchard & Theresa Jones. 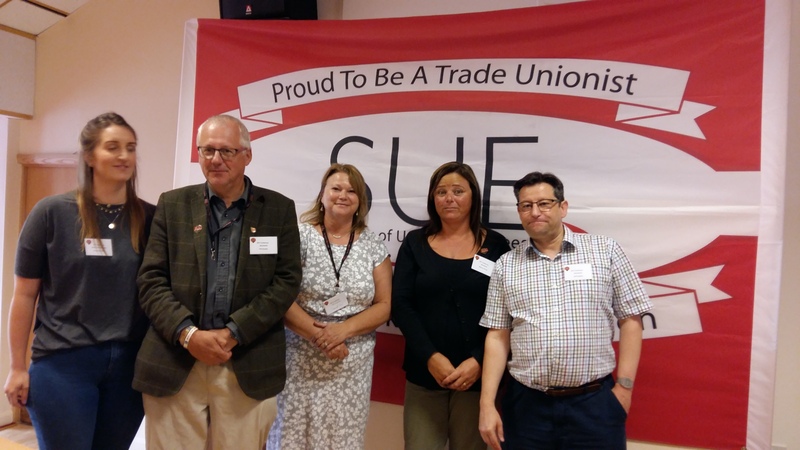 Members of the Branch delegation to the 2017 SUE Conference with Kirsty Robertson, the then Branch Secretary.